The American Birkebeiner (Birkie) is North America’s largest cross-country ski race and festival. We love being part of this fun and exciting event. 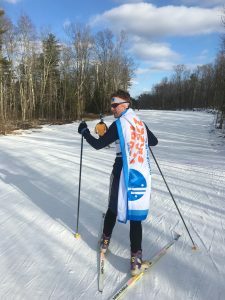 This year, Paul Thompson (Cool Planet Co-Direcotor) will be skiing his 38th Birkie! We are very excited about bi-partisan climate legislation introduced in the US House of Representatives, the Energy Innovation and Climate Dividend Act. So this year we are celebrating the many climate solutions that the Birkie, Birkie Expo vendors, Birkie participants and all of us are already engaged in and challenging one another to take the next steps. – Engage in conversations with your fellow skiers, friends and spectators. Tell them about solutions you are excited about. What are you committed to doing in the next year? – You may recall that filmmaker Diogo Freire of Adaptation Now joined us at Birkie 2017 and began filming for the project Saving Snow. Last year, Saving Snow premiered at Birkie 2018 at the Park Theatre. This year, we encourage you to host a screening of your own! This screening toolkit will help you get started. Thanks to the sponsors that made the Birkie Premiere possible! Won’t be at the Birkie? Host a screening of Saving Snow of your own! This screening toolkit will help you get started. Learn about the Energy Innovation and Carbon Dividend Act. Get involved in a Citizens’ Climate Lobby chapter near you. We’re proud of our Olympians speaking up for climate action! See their video and more here. Join Us as a Cool Planet Skier! Cool Planet Skiers are skiers of all abilities from elite racers to recreational skiers. 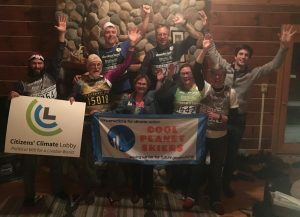 Cool Planet Skiers are passionate, informed and take action on climate change. WE’LL SNOW YOU HOW! See our storm of ideas below! Ready to sign up? Click here or Print out and return this form. Whether you are a cross-country skier, downhill skier, snowboarder, or just love playing in the snow, we need your help in creating more conversations about climate change and the impact is has on winters in Minnesota and other snowy places then bringing the conversation to taking action to solve the climate dilemma. Check out our Facebook page or contact us for more info! How snowy are you? Increase your snowflake intensity as a Cool Planet Skier. Start as a flurry and keep moving toward a blizzard. We can help with materials and training on any of the options below! Support our work with a tax-deductible donation. Contributions of any amount fund our programs of education and advocacy. Reduce your carbon footprint – get a home energy audit, turn off lights and electronics when not in use, bike, walk, carpool, take public transit, etc. 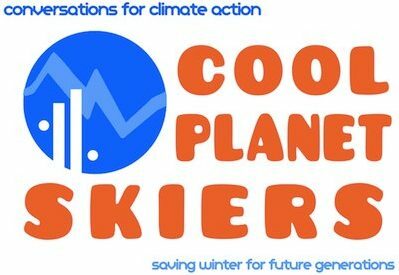 Fundraise for Cool Planet Skiers. Together we will re-think and re-imagine healthy winters. 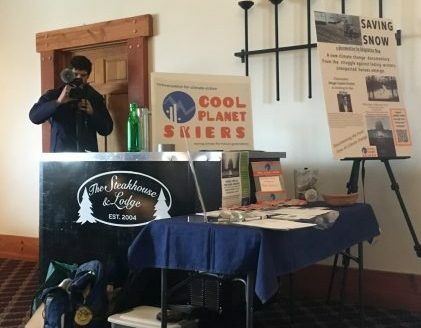 Read more about last year’s partnership with the I AM PRO SNOW campaign of the Climate Reality Project and tips on what skiers (and all snow lovers) can do. Though we won’t have a booth at the Birkie this year, we are still pleased to have initiated this partnership and support the great work of the I AM PRO SNOW campaign. Many Climate Reality Project trained speakers are involved in Cool Planet work. What is a Cool Planet Skier?